On Ichmad’s twelfth birthday, that fear becomes reality. With his father imprisoned, his family’s home and possessions confiscated, and his siblings quickly succumbing to hatred in the face of conflict, Ichmad begins an inspiring journey using his intellect to save his poor and dying family. In doing so he reclaims a love for others that was lost through a childhood rife with violence and loss, and discovers a new hope for the future. What will you do, if you move into a different world, away from all your worries and there is only peace, only peace there? Well, eh…I know that place and if you also want to be at that place then you indeed have to read this book. The author with this story draws our attention to this conflict, injustice and above all ignites a lamp of peace. Though I have a very little idea about the real life situation there in the Palestine but I was very much moved when I read the situations mentioned in this story. Though I was apprehensive and a little skeptical about the story and I had a slight disbelief in it but all vanished when I moved forward, when the story moved forward and slowly and steadily I was there, right there. It was an emotional moment for me when I completed the book. A very heart wrenching story. I haven’t read The Kite Runner and the comparisons between these two books are very alien to me, though I have promised myself to find out the answer soon. 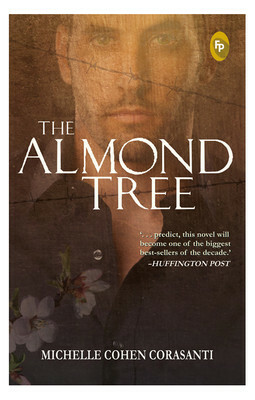 The Almond Tree gives a walloping punch. You will feel a deep sense of compassion and peace after reading this book. People have already judged this as a very important book of this decade and with a very little knowledge about the books I am wishing this book to be adorned in every library and in every book-shelf. The only negative thing I felt about this book is that the certain character’s sketching should have been stronger. But the narration makes up for it. A very good book and I recommend you all to read it once because sometimes all you need is to have an eye of a person through which you can see a different world.